The Big Conservation Station trailer is trailblazing to county fairs across the state with a brand new, interactive display presenting a simple question: “What is your hope for Iowa?” Inside the Conservation Station’s learning lab are new mixed media murals showcasing the past, present and future of Iowa’s natural resources. Conservation Station visitors will have the opportunity to engage in discussion and artistic expression of their own – each fairgoer is invited to share their own #HopeForIowa. “I am hoping to evoke an emotional response to the land, by depicting not a particular place, but ‘every place,’ so each person can relate to it,” explains artist Cecelia Comito of Artworks Studio in Carroll. Comito collaborated with Ann Staudt, Water Rocks! science director, to create the original mixed media artwork for the Conservation Station trailer, representing an artistic vision that reflects the past, present and the future of our state. The artwork panels illustrate advances in conservation efforts over time, and the potential possibilities as farmers and other Iowans continue to implement effective land management practices to build soil health, improve water quality and increase wildlife habitat. All the artwork was done on large canvasses at Artworks Studio. Each mixed media panel was built up with extensive layers of torn and cut paper, including such materials as stained and textured papers, pages from recipe books, story books, road maps, plat maps and even sewing patterns. Fine details were added through image transfer, paints, gelatos, watercolor pencils and pastels. Click through the slideshow below for a behind-the-scenes look at how the artwork came together. The finished pieces were imaged on a large scanner and then digitized in order to produce them large enough to place on the walls of the trailer. In addition to the new artwork, Conservation Station team members employ perennial favorite interactive games and activities including The Watershed Game, The Poo Toss and the Rainfall Simulator to engage fairgoers of all ages. 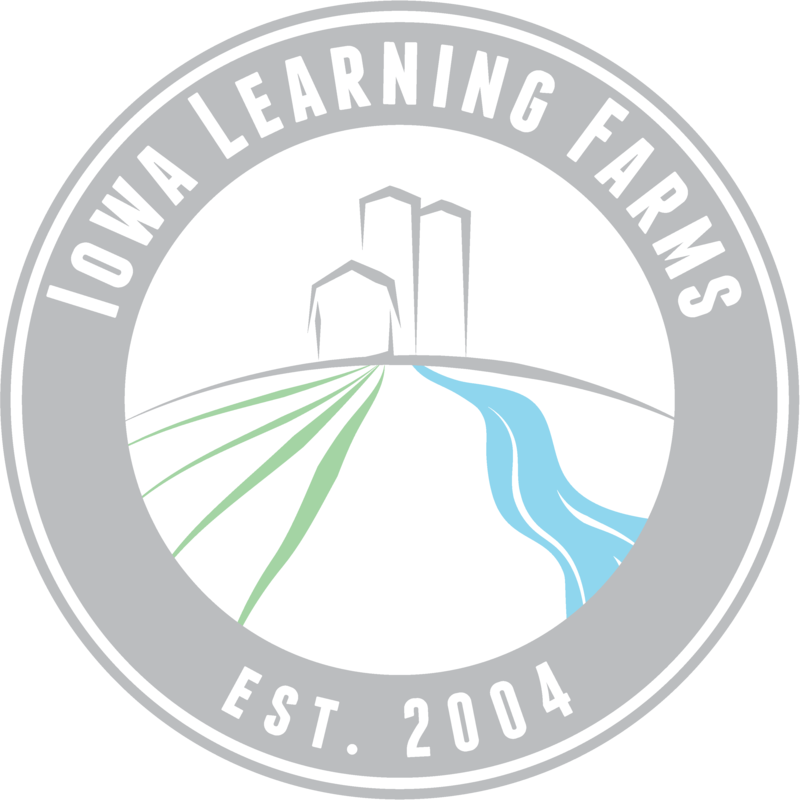 SPECIAL NOTE: Today’s guest blog post was written by Melissa Miller, Program Coordinator with the Iowa Water Center. The annual Iowa Water Conference is just around the corner, and Melissa outlines her Top Ten list of reasons why each of us should consider attending! On March 23-34 in Ames, we’ll hold the Iowa Water Conference. This is the TENTH year in its current format. What used to be many water-related conferences came together under one umbrella for several reasons – perhaps the most important of those being that we are all responsible for Iowa’s water management, and we must work together to make improvements. With it being the tenth year, it seemed appropriate to provide the top ten reasons you’ll want to attend this year’s conference, if you haven’t already registered. Weather. We planned the event three weeks later in 2016 in the hope Mother Nature will be kind to us. We can’t guarantee good weather, but we have better chances this year. Competition. As in past years, we’ll have a photo contest and student poster contest. Exhibitors. We’ve already secured a long list of commercial and non-profit/educational groups that will have tables in the lobby, including our ILF/Water Rocks! friends. If you want to exhibit, get your form in by March 11! Networking. The Water Conference is cross-cutting and you’ll be amazed by all the people you meet during breaks and the evening reception (read on). Evening reception. Back by popular demand is the evening networking reception. From 5-7 p.m. on Wednesday night, we’ll provide heavy hors d’oeurves and a cash bar right before heading into the adjacent community event (read on). Art of Water 2016. This FREE community event will feature a gallery viewing of Ames High School Bluestem Institute water quality photographic prints and a presentation of Body of Water, a production that uses dance, music, and video to tell the story of an Iowa watershed. For more info, check out the event website. The optional workshop this year (an additional $50 fee) is a different kind of topic than we typically offer –The Psychology of Sustainable Behavior – a skill-building workshop to support voluntary behavior change. Plenary presentations. We kick the conference off with a bang -“Water Quality in Iowa: What does the public think?” will be presented by Mary Losch with the Department of Psychology and Center for Social and Behavioral Research at the University of Northern Iowa. Other plenary topics include zero stormwater runoff discharge, watershed planning for treatment plant nutrient offsets, the California water odyssey, a legislative look at achieving environmental quality, and using psychology to engage people to preserve water resources. We hope we’ve piqued your interest (and potentially managed to answer every question you may have had) about the Iowa Water Conference. Follow along on Twitter using #iawaterconf16 and be sure you don’t miss the March 11 registration deadline!